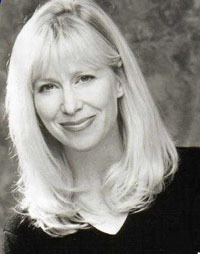 Kath Ellen Soucie is an American voice actress who is the voice of Cubert Farnsworth and others on Futurama. Outside of Futurama, Soucie did the voices of Phil, Lil, and Betty DeVille on Rugrats, as well as many voices on Hey Arnold!, The Powerpuff Girls, Tiny Toon Adventures, Kanga on Winnie the Pooh franchise, Dexter's Laboratory as well as the voice of Lola Bunny to Billy West's Bugs Bunny in the film Space Jam. This page was last edited on 28 June 2017, at 01:42.